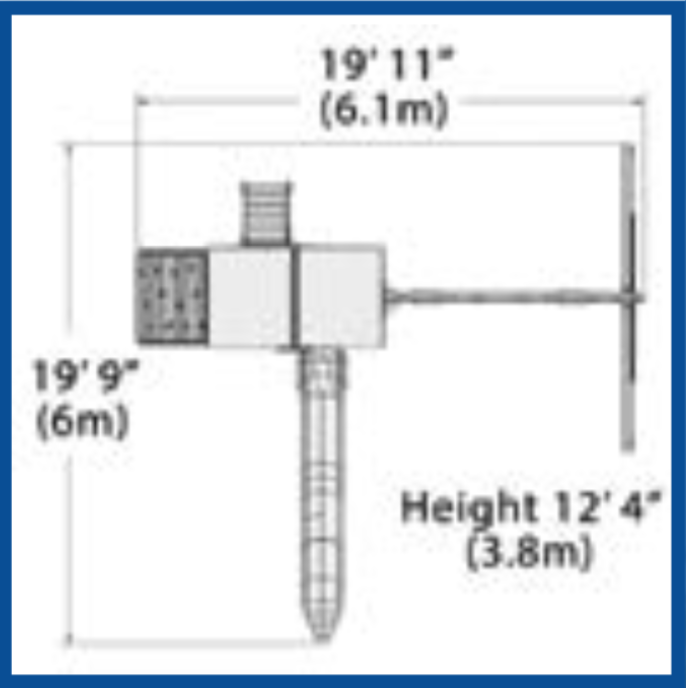 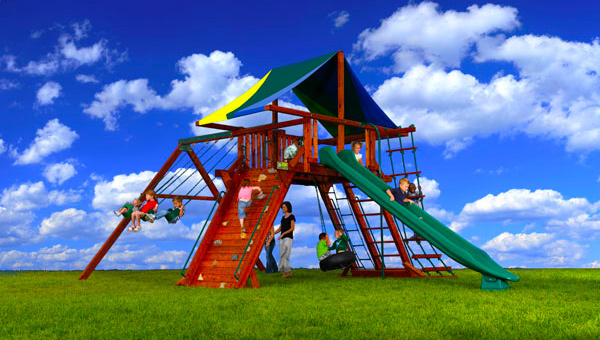 40% Off And $99 Installation Special On All Summit Outlook Series Swing Sets! 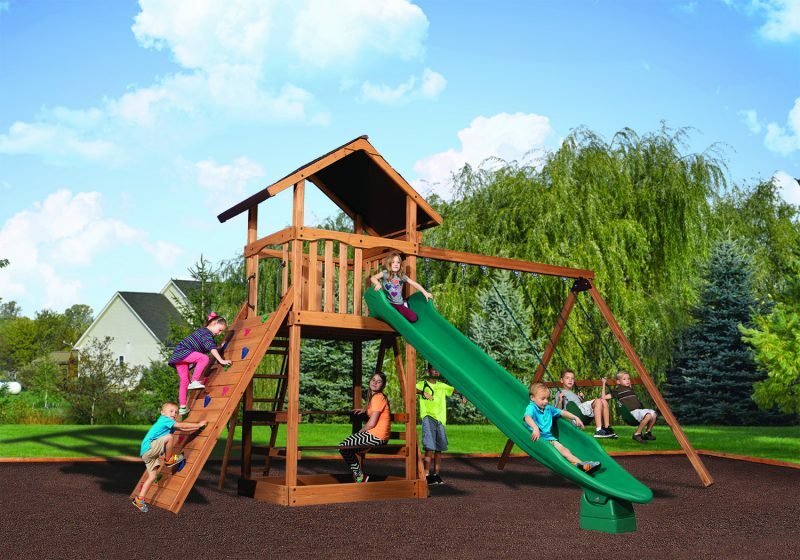 We have spent years developing this play set line, and as a result we are confident Summit Outlook Series is the best value available. 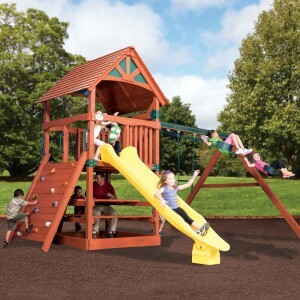 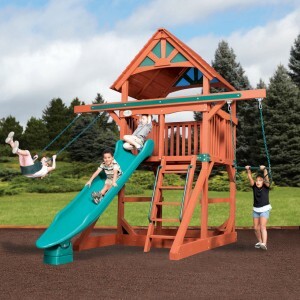 You may first notice the new color pallet of light brown and mahogany colored stains that give these play sets a rich look, but there’s even more. 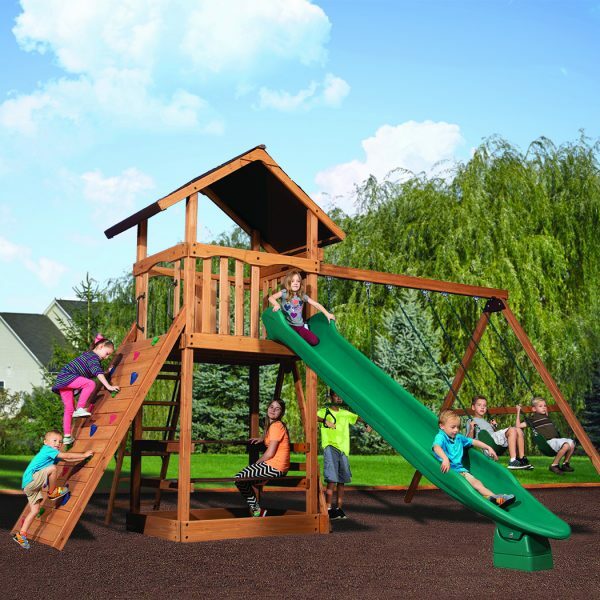 The all new, unique hybrid style option lets you design play sets with both a lower playhouse and a tire swivel swing in the same structure. You can’t find this innovative value anywhere else!